You must make reservations at least 5 minutes in advance of the time at Koy. KOY validates for the 75 state street garage, with the entrance on broad street. This garage is a 2 minute walk from the restaurant. There is ample street parking available, as well as neighboring garages (Parcel 7 Haymarket garage) and the Hard Rock Café garage. KOY is located in the epicenter of MBTA transit in Boston. We are located between the blue line stops (state street or aquarium), the green line (government center) and the orange line (haymarket). 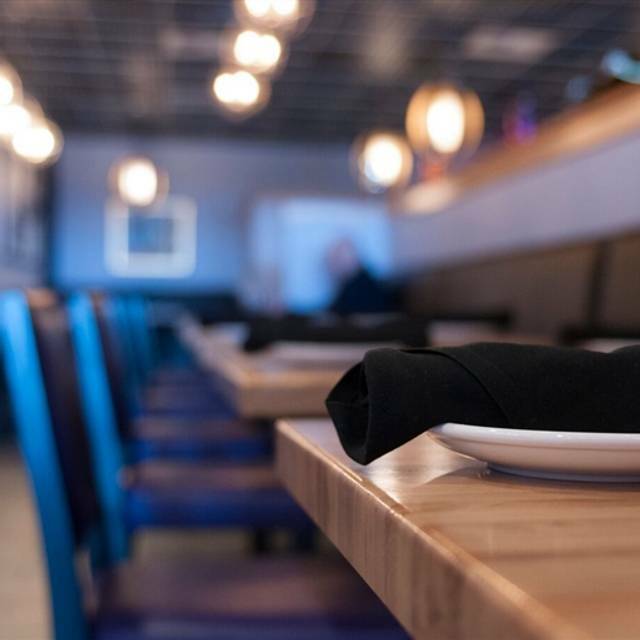 We welcome any special events and try to accommodate guests and your party in any way we can! Catering is offered with a variety of options from platters, buffet style, boxed lunches and more! Please contact for more information- we try our best to accommodate different visions, palettes, budgets and tastes! 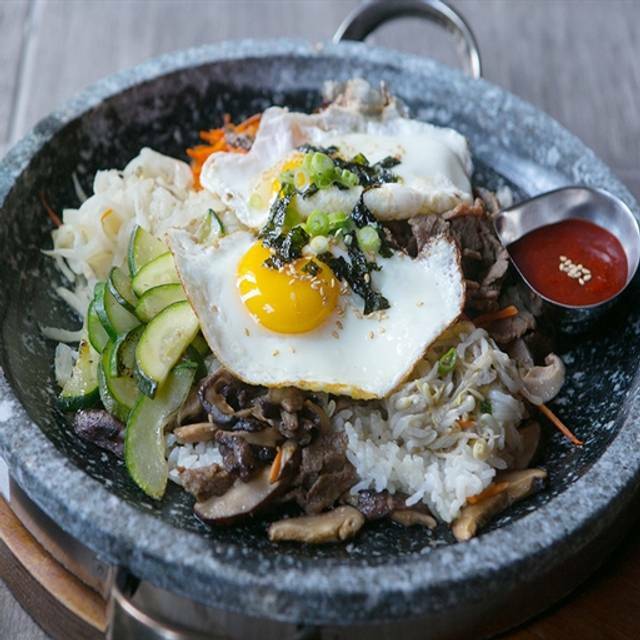 Located in Boston’s Faneuil Hall neighborhood, Koy serves a variety of Korean cuisine and Asian favorites. Every meal is prepared with fresh ingredients, including locally acquired seafood and produce. 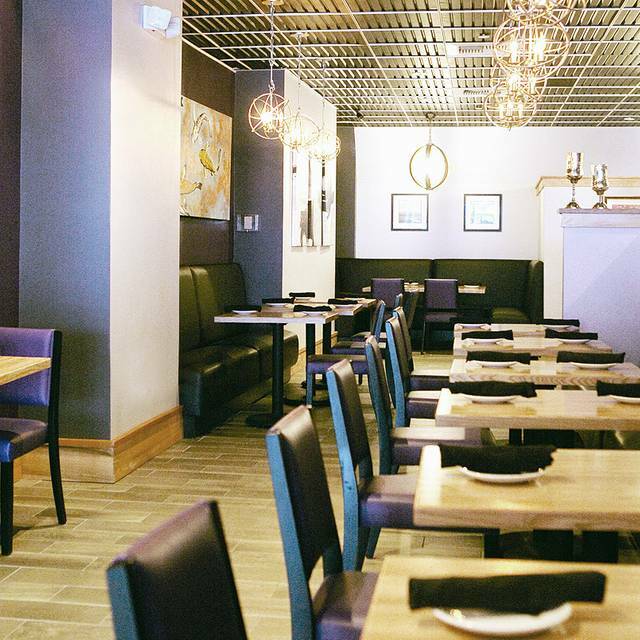 Koy offers online ordering, takeout and delivery services for convenience in addition to its bright and roomy dining room. Start out your meal with an order of handmade dumplings or tuna tartare. For the vegetarians in the group, Koy offers a wide variety of plant-based entrées. Try the bulgogi dip sandwich which comes topped with caramelized onions. For those craving American fare, try the kimchi burger. The restaurant offers a space for private parties and corporate gatherings. Sweet + tangy garlic chili sauce, black roasted sesame. Ask for Angry Chicken if you're feeling spicy! Loved the lobster rangoon dumplings! 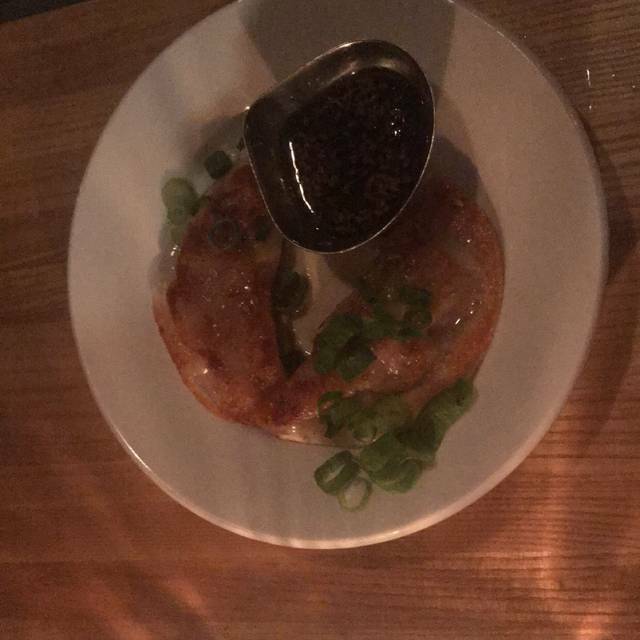 The scallion pancakes were okay, had better. For my main dish I had the shrimp coconut curry, which was really good! Koy has a nice ambiance and our large party ordered many dishes, so we tried a good portion of their menu. 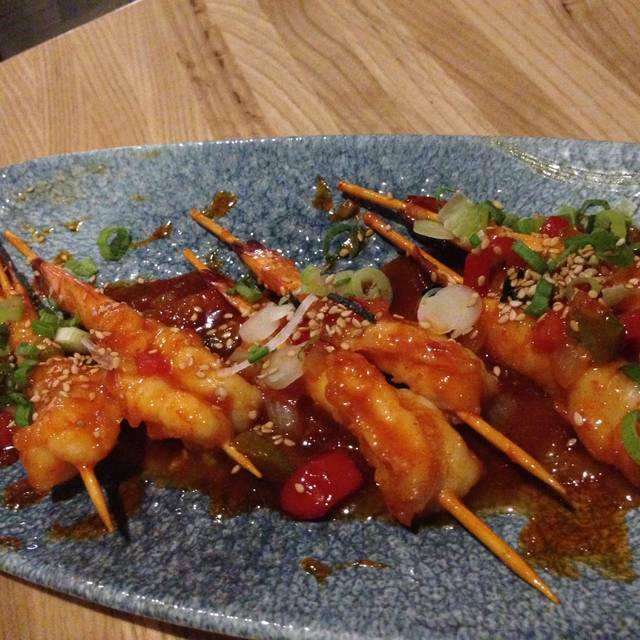 As far as Asian fusion goes, they do a good job with the dishes and everything is tasty! Portions are average, but prices a bit on the expensive side. The Koy Bowl drink was a great deal to share among friends! We paid $30 for the four of us and weren’t able to finish it. We could have easily had more people share with us. Overall would recommend going, but be ware that you’ll spend ~ $25-30 for dinner. My date had dietary restrictions and this was a great choice. Vegetarian options were not only present they were yummy! So I would definitely recommend it to those who need to find a good place to eat that can accommodate different dietary needs. Nice enough, but the food was just so-so, and the servers were nice, but didn't take our empty plates away, or refill our drinks. I like good service as well as good food, so I will probably not return. We have dined here several times and have brought some friends who have become Koy fans too. For great galbi and bulgogi dishes we always go to Koy. Sadly the last time we ate there, the galbi tasted sub par to what we are used to. We asked if there is a new chef and they said no. 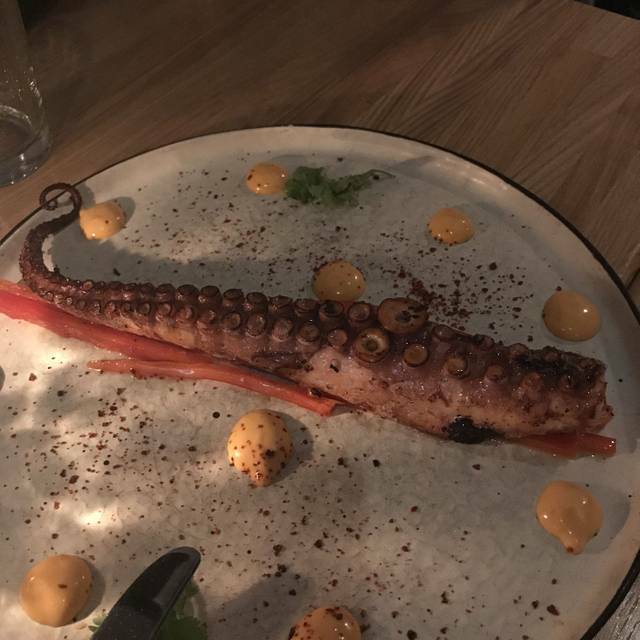 The dish was sent back to the kitchen and when returned to us it tasted the same. We just have to find another place for galbi and bulgogi. The other chicken dish we ordered was actually very good. Went for dinner and had some amazing cocktails and food. The waitress was very nice and the chef came out and gave us some recommendations. The portions are huge, so be prepared to share some entrees or take home some leftovers. I came for the restaurant week menu and was sat next to the bathrooms... not sure why there’s even a table that close to them. The miso soup was good, but I don’t understand why a soup spoon wasn’t given. I only had a tablespoon for it. I really enjoyed the miso cauliflower, it was probably the best thing I had. My tenderloin was cooked medium on one side and rare on the other (which lead to an extremely bloody plate) - I asked for medium. The potatoes had a little too much sour cream for my taste, but they were cooked well. The mochi desserts were good too, I don’t think they needed the chocolate sauce though. Just a restaurant for tourists. not authentic at all. Rice is hard and the portion of meat is very little. Would not recommend to friends. The food was really amazing. I had the tenderloin Valentine’s Day special. If this were on the regular menu it would definitely be enough to bring me back on a regular basis. Fantastic food awesome service my only complaint was the loud background music. Great early mid-week dinner spot! Koy was relatively empty when we arrived @ 6:30 and service was prompt and attentive. It filled up quickly from 7 pm on. Food was tasty and spicy (yum!). Would definitely recommend for an early dinner - appetizers are a very good size - had lots for a doggy bag! Koy was amazing!!!. Beautiful set up particularly the art works. The food was amazing especially the kimchi fried rice. Best of all, the bartender and staffs were so welcoming! Would definitely Come back. We dined with a reservation for 5 on Christmas Day and although the restaurant was understaffed, the experience did not warrant that excuse. It was not that busy that the existing staff could not have made for a much different dining experience. Long waits for everything. All the food, once it arrived was cold. We were told there was no rice?? so then we couldn't order Sushi which both my son and husband wanted to order. My husband ordered a rice dish which the waiter said could come with rice noodles. The dish arrived with rice -- ridiculous. Multiple things were brought to our table that we did not order. I ordered Drunken Noodles which I have eaten in many other restaurants. This version was one of the worst entrees I have ever eaten in my life -- cold, the noodles were hard, there was no sauce and it the seasoning was so hot, it was not edible. It tasted like someone took off the cover of the seasoning and just poured it all over the food. We ordered both appetizers and entrees and told the waiter they could all come at once. What happened is that they came at all different times, with big waits in between, making for a very awkward dining experience. Out of the 10 things we ordered, only my son said his sliders were good. I would never go back. Dined at Koy for lunch with a friend visiting from out of town. The food was delicious and the portion sizes were just right. Shared the lobster Rangoon and sweet and sour pork dumplings...both were soooo good. Mongolian fried rice had a bit of spice to it but was nicely balanced by the salty bacon. I would definitely recommend Koy and plan to go back. In general terms, poor. Actually, very poor. The service was offhand and the order wasn't completed correctly. I'm inclined to believe the waitress who said she told the kitchen the correct order but even still, it wasn't good. Starters arrived (cold) and the mains came at the same time. Bizarre. My companion's main head tofu in it, which she said she didn't want, and they said they'd do a fresh plate. It wasn't. The telltale signs of the heat lamp were all too present in crispy rice on mine and scorched noodles on hers. Plus something that strongly resembled mayo on top of mine. In Korean chicken? Seriously? This place had been highly rated on TA. Clearly, it was the family talking. There is better food to be had elsewhere. Go elsewhere. Go anywhere. Just not here. Outrageous prices for soju - literally the highest I’ve ever seen and I’ve lived in five countries. Had a great meal, here. Super friendly staff and solid food. Great food, great service, ask questions about the menu, the fully explain so you can order intelligently!!! Loved our dishes!! Love this place, third time here and it never disappoints! Food is consistently great and the waitstaff is also always on point and attentive. Cannot recommend this place enough, one of my favorite places to eat in Boston! Food was OK but service was lackluster. Also, my plate was dirty. I very rarely give negative reviews, but in this case feel compelled to. Despite reserving a table in advance, my wife and I had to wait 25 minutes to be seated. We were left standing in a very busy thoroughfare making us feel unwelcome and clearly in the way of waiters and customers. When we were eventually seated the table top was wet and sticky and we had to call a waitress to wipe it clean. We ordered 3 small plates and asked for these to be served as starters, with a coconut curry and pad Thai noodles to follow as main course, specifically telling our waitress we wanted the mains after the staters. The starters were very good, but we were barely halfway through them when the mains arrived and there was no room on the table for them. We were left piling our appetisers into a single plate to make room. By the time we had finished the staters the mains were just about warm. The noodles tasted ok, though some were stuck together in burned clumps and because they were cold when we ate them they were totally unappetising. The curry tasted overwhelmingly of strong stewed onions and also being cold did not make for good eating. We gave 3 different waitresses our feedback and received a begrudging half-apology from one. I imagine by this stage they were writing off any chance of a decent tip. In fact they guaranteed themselves no tip due to the poor way they treated us up until we left. Not good value for money, especially with such poor service. No me gusto nada. Desde que entre hasta que salí. La comida estuvo mala. El olor del lugar era de producto de limpieza barato. El local es oscuro. Comimos ahí porque ya no podíamos ir a ninguna otra parte. El servicio ok. The food was delicious. They were able to cater to gluten free needs! Amazing food! This was my second time and it never fails to impress! Good lunch spot near Haymarket. Have been here several times and it's always good. There are always available seats as well. 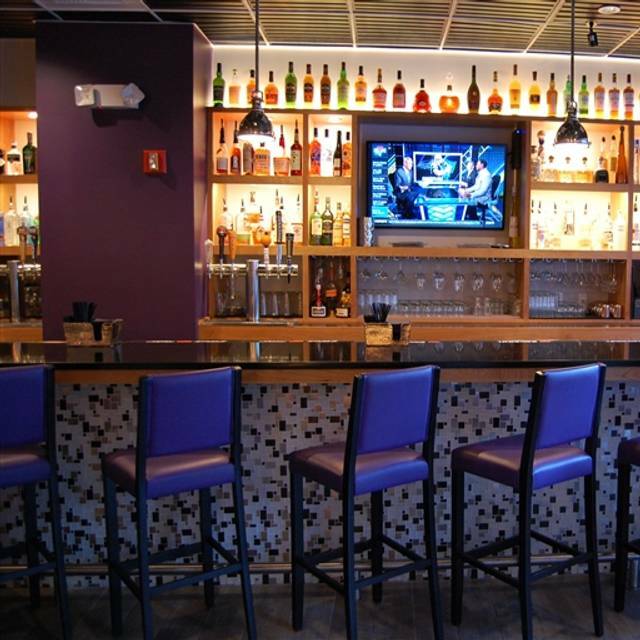 Koy is always one of our go to places when down in Boston. 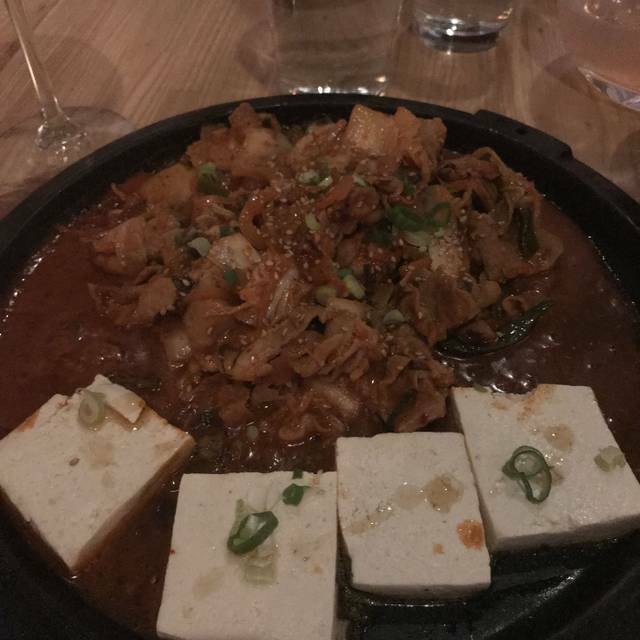 The food is consistently great and a nice combination of more traditional Korean dishes and some twists on the theme as well. Seating is often available which is impressive considering how close it is to Faneuil Hall and other downtown tourist attractions. I don’t usually give out five stars like candy. Met up with some old friends/coworkers. It was a great location and walkable from the office. The kimchi fried rice was awesome as were the scallion pancakes. Wholly recommend the carafe is shoju. We got the lychee. Thanks so much to the awesome staff. The food was amazing and this was my first time here. The ambiance was great and the staff was friendly. Can’t wait to come back! Went into Boston to drop our daughter at a concert and needed to pass time...I found Koy on Open Table doing a search by location. What an amazing find!!! Koy exceeded my expectations. Our party of 3 were seated right away. Joanne was an attentive, knowledgeable and friendly server. She made our dining experience really special by explaining the bar and drink menu so we were able to make the best meal choices. The owner even came to our table to assist with ordering and showed us photos of the fish he got that day and was one of the dinner specials. I ordered the poke bowl, my son offered the teriyaki chicken and my husband ordered the sea bass. All were tasty and exceptionally prepared. 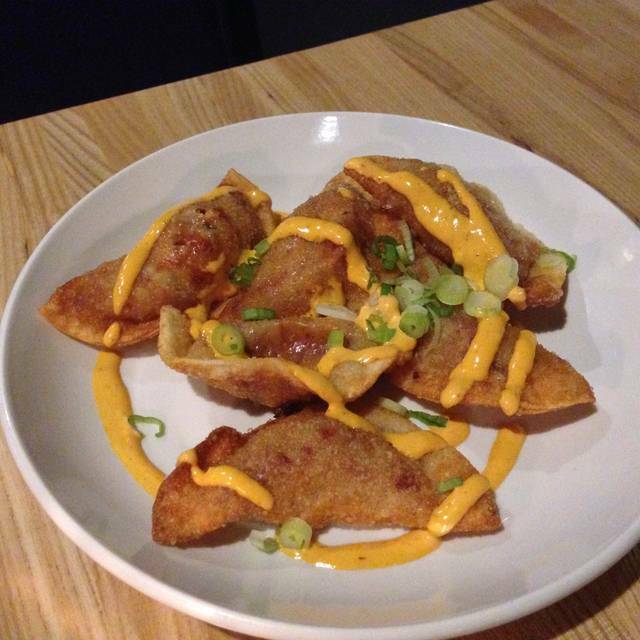 We also had dumpling appetizers filled with kimchi and seafood scallion pancakes. I highly recommend visiting Koy for an authentic and tasty meal! My husband and I were looking for somewhere to eat in Boston and searched yelp, open table and google. We weren't exactly sure what we wanted and looked at lots of menus! We then stumbled across Koy and their menu looked pretty good so we decided to go there. It was a great decision! We loved our dinner and will be back. The restaurant is nice inside, staff very friendly and attentive and the food was FABULOUS! Highly recommend if you are in Boston. The quality of both the service and the food was wonderful. We are sometimes wary of eating near the touristy areas, usually high priced with average food. We were very happy with everything and would go back to Koy even if we weren't doing the touristy thing! The owner/chef even came to our table to see how we were enjoying everything. Waitress is knowledgeable and entertaining. Food was great, esp the Galbi! Sushi was good, but the Carnitas Dumplings had zero flavor and the other pork (sweet and sour?) had good flavor but had definitely been sitting under a heat lamp for a bit. It was very good and very lively. Would go again! The sushi was fresh and delicious and the cauliflower appetizer was very yummy also! We were pleasantly surprised. The food was very good and the service was friendly and efficient. We were in Boston for 5 days and were happy to have found Koy. My husband and I were trying to find somewhere on a Friday night to eat around Quincy Market - Koy didn't have a wait and was pretty quiet. The service was excellent - very quick and attentive. We enjoyed the food- we tried sushi, lobster dumplings and a pad thai. It wasn't the best value but hit the spot.